This is the final instalment in my ongoing write-up of everything I did in Cornwall, almost two-months ago. Posts about August’s visit to Shropshire will begin soon. 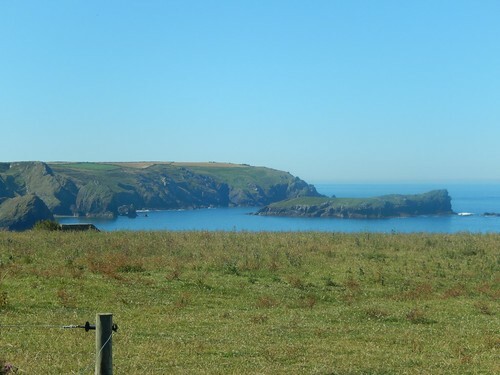 Here, I’m going to ‘review’ the camp site I stayed at – Franchis Holidays, near Mullion. 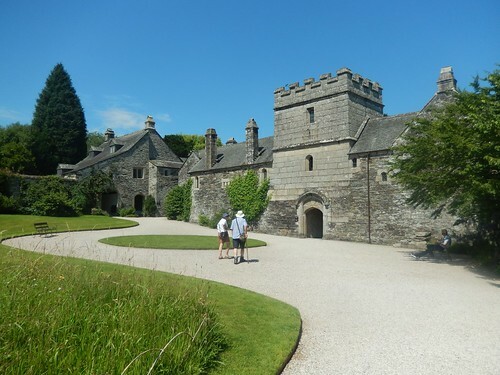 From the map I’d been given, it didn’t look like a long walk from the house and gardens to Cotehele Mill. But it would involve following the narrow roads downhill. I didn’t fancy walking back uphill so late in the day and hopped in to my car. At first attempt, I settled in to the wrong car park – as it happened, this was the main car park for the house, meaning that I’d unknowingly parked in the large overflow car park earlier. Righting my wrong, I made my way downhill and to the next car park. Having spent my final night inside a tent down in Cornwall, it was time to begin the long journey home with a good three-hours of driving. 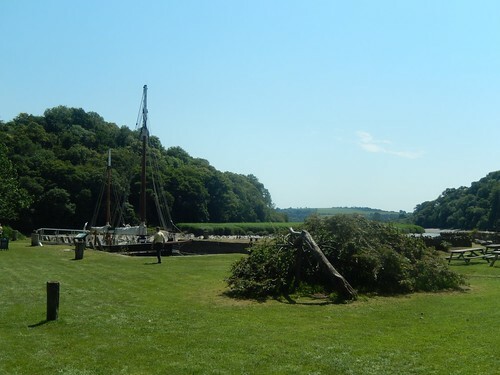 Of course, I wasn’t set solely on returning to everyday life so suddenly after four days away… To break up the journey, I decided to make my third National Trust stop of the weekend. After a morning at the beach beside St. Michael’s Mount and an afternoon spent reading at the camp site, I needed something to eat for dinner. 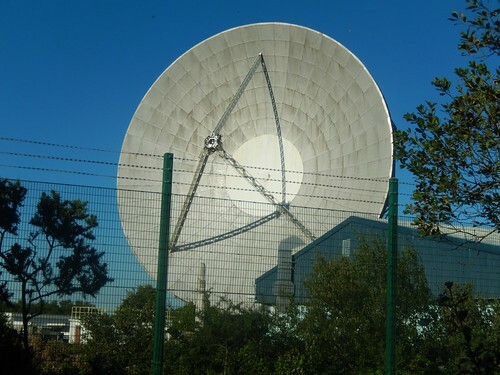 Another short drive in to Mullion and I bought a sausage bap [I hate that word] with chips before driving on towards Goonhilly Downs – the unmistakable site of radio telescopes (dishes) that I’d spotted on the drive down through Cornish countryside. 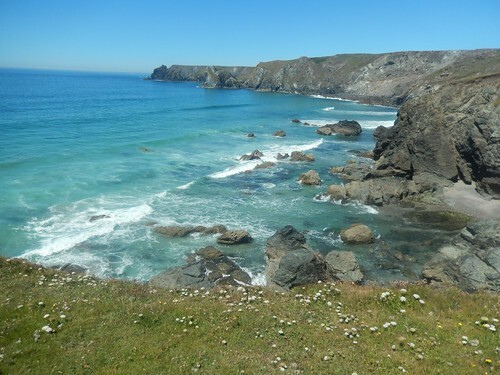 Although I’d opted to stop for lunch a few hundred metres south of Kynance Cove and away from the mass of sunbathers, I also knew that I wasn’t too far from Lizard Point; one of the highlights of this walk, as set out when I had initially planned it. Lizard Point was just one thrown too far. I was hungry and, although my lunch box was ill-prepared, I was aware of the benefits of stopping sooner; unsure of exactly how much further I would otherwise have to walk. 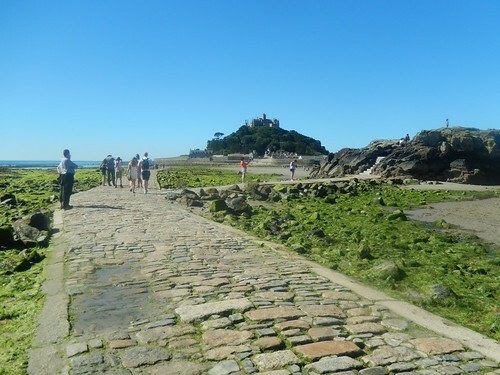 In this first instalment of last Sunday’s walk, I take my first miles along the South West Coast Path through Cornwall, having already covered a portion of Dorset and most of the short stretch through Somerset. 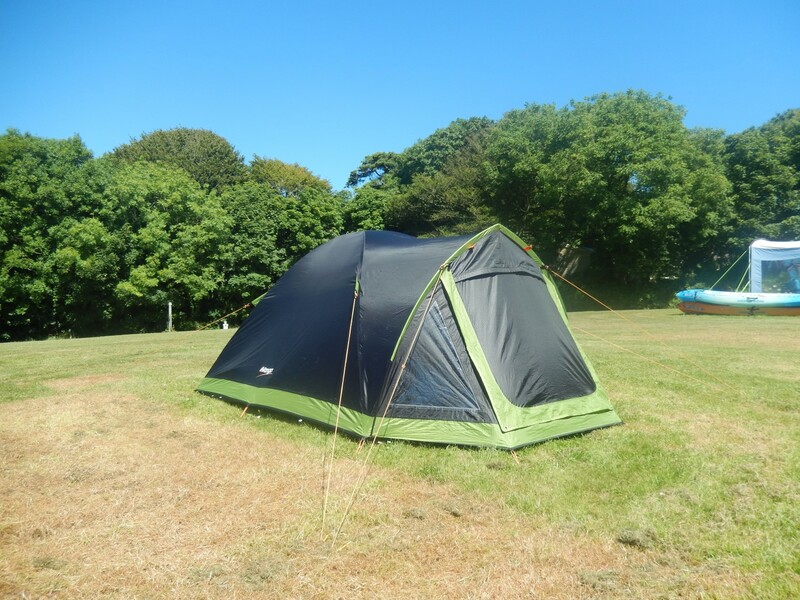 This was officially my first full day in Cornwall, having spent the night inside my tent. With a lack of breakfast available on site due to a faulty hob, I was up and away sooner than I might otherwise have been. It was the morning of my three-hour drive down to Cornwall and my four-day escape. I’d left later than planned, having made sure that everything was packed and prepared sandwiches for the day. Still, I hoped to be able to avoid the worst of the inevitable southbound traffic. 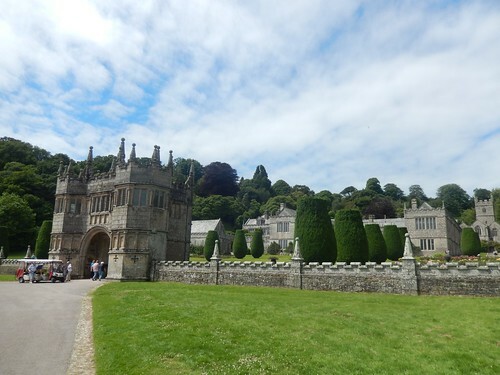 I chose Lanhydrock, with its grand house and estate, as a convenient ‘pit-stop’ to ease my journey and celebrate the end of all motorway driving, for at least three days.